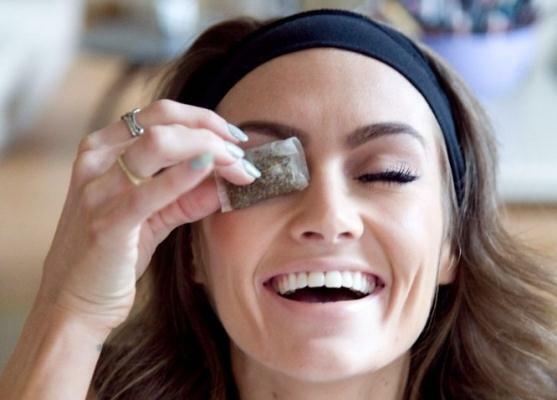 11 Ways to Get Rid of Puffy Eyes Fast → after crying, in the morning, etc. Did you know? It's the cold that actually reduces the swelling so there is no need for you to put tea bags, spoons, fruit or other gimmicks on your face to reduce puffy eyes. Use an antihistamine like Zyrtec or natural antihistamine like Stinging Nettle, Bromelain, Quercetin & Vitamin C to get rid of puffy eyes caused by allergies. Applying cold, massage or drinking more water will not get rid of puffy eyes UNLESS you get your allergies under control. Allergies can also make you rub your eyes more making puffy eyes get worse. Diuretics also help you flush out excess water weight. If you usually have puffy eyes in the morning, then it's mainly because you were not sleeping on your back. Sleeping on your back prevents puffy eyes by keeping water from pooling up under your eyes overnight so you should also sleep with your head slightly elevated using an extra pillow if needed. 1-to-2 liters of water per day should be enough to prevent excess fluid buildup in your eyes. You may need to drink more than 1-to-2 liters depending on how much salt/sodium and these foods that make you retain water are in your diet. 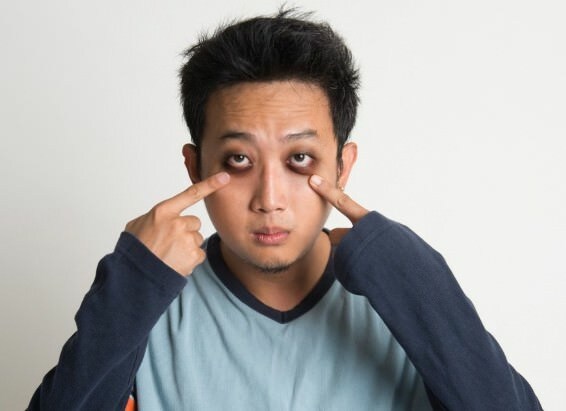 When you rub your eyes too much you'll cause swelling around your eyes and Rubbing your eyes can worsen your allergies making it harder for you to get rid of puffy eyes. Tip: Use your softer ring finger instead of your harsher pointer & middle fingers when applying creams or makeup to your eye area to avoid irritation. Take out your contacts before going to bed each night to prevent further irritation that could lead to puffy eyes. 6. Puffy Eyes Due to PMS? If you routinely get puffy eyes a few days before your period then it's more than likely due to the water retention bought on by PMS. Prevent puffy eyes bought on by PMS by drinking more water, eating more diuretic foods & avoiding these foods. Taking	Pamprin can also help. Alcohol and Smoking won't necessarily cause you to get puffy eyes but they both will make your skin lighter which will make it seem like you have puffy or baggy eyes. What works for getting rid of dark circles wont also work for puffy eyes. Puffy eyes are the result of a buildup of fluid causing the eye area to swell. The best way to reduce swelling is with ice, allergy medication, or drinking more water. Eye creams (unless cold), alpha hydroxy acids & retinoids and adding more vitamin A, C, E & K to your diet will not get rid of puffy eyes because they don't reduce swelling. 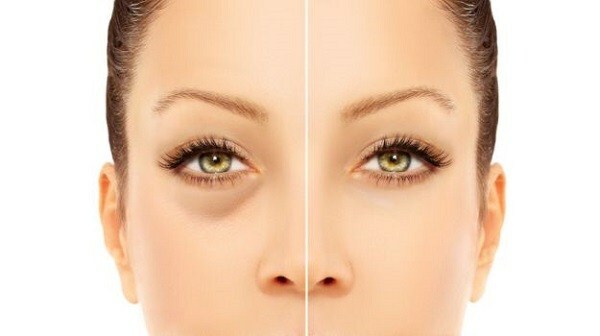 The best way to get rid of dark circles is to fade them away with a 'lightening' eye cream. Applying cold to dark circles will also work to shrink the blood vessels making your dark circles more visible but cold does nothing to fade them away up. Crying. Leads to eye rubbing & hormonal changes. When on holiday in a hot climate the area under my eyes really swelled. I would like to know why this is. On holiday photos my eyes were hardly visible. 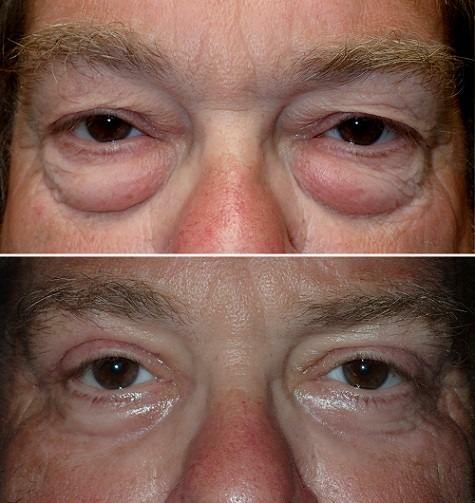 Swollen or Puffy eyes are actually quite common, and most of us happen to suffer from them at some point in time. Thankfully, even though it may hamper your looks, effective treatments are readily available and through my experience as a skincare specialist, i have learnt that SwellNoMore is exactly what you need. If you are interested, view the product online. Great article shared by you! Puffy eyes looks very ugly when we have long day ahead. I have tried ice therapy and it works great for me! You just need to this is to take 2 ice cubes and wrap it in some wash cloth, then put it on each eye twice a day for 10 minutes. You will get rid of puffy eyes because it helps in improving blood circulation. Just an fyi, I have a daily upper body workout routine that I do with resistance bands, weights, and pushups. It doesn't take that long. But interestingly, I noticed about a year ago (I am 51), that after doing this workout, the puffiness in my eyes - not any bags, but puffiness where the skin is puffed at the corner of the top lid near the nose - yuck - anyway, that virtually disappears after my workout. The interesting thing is that I can go for an incredibly strenuous run up such steep hills, that even bikes must be walked by the average bike racer, and my eyes will STILL be puffy (I thought all the circulation, especially after a 45 min to 1 hr run such as that would take all swelling down - apparently not). But, after my simple arm/shoulder workout, my eyes are great. It makes a big difference! I have deepset eyes, and that comes right back after the workout. I heard it or read it somewhere that hemorrhoidal ointment applied under the eyes is supposed to help reduce the swelling and bags. Will it really help? If so, can hemorrhoidal ointment be put on the upper eyelids to give relief, too? Any medical experts out there to add their two cents' worth about that advice? I would like to thank you, now iam going to apply ,follow the all instractions u givers,Iam suffering for long time with this problems,Puffy eyes.